For review excerpts of 'Sheepless' and 'Communal Effort' click here. Movie and TV music - 'Rise and Fall of the Blues' was used in the major motion picture (NewLine Cinemas) The Texas Chainsaw Massacre: The Beginning: in fall 2006. One of Roger's songs (Workin' and Worryin') was included in the movie, Mr. Id, featuring Amy Dolenz (daughter of Monkee Micky Dolenz). The song "This Space Reserved" was featured on the Music Choice TV channel. Roger has signed a non-exclusive contract with the music library, One Music (headquarters in Nashville and L.A.) to shop music from his 1st CD to movies and TV. They chose his CD from hundreds submitted to represent. 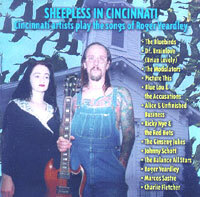 You can hear selected songs from Roger's 2 CDs, "Sheepless In Cincinnati" and "Communal Effort" for free at the indie music site, CD Baby. You can buy the CDs at CDBaby also. Stores/ Cincinnati: You can buy these CDs locally at Everybody's Records, Shake-It Records, Joseph-Beth Booksellers, Borders (all area stores), Phil's. Downloads: In addition to the downloads below, download individual songs from Roger's 2 CDs from the iTunes Store, To go to the iTunes Store, click and then type in Sheepless In Cincinnati or Communal Effort in the Search line. BUY IT / DOWNLOAD IT HERE. Click the button below to buy CDs here. (We process payments through PayPal so you must have a PayPal account. You can set one up pretty easily at www.paypal.com if you don't have one already). 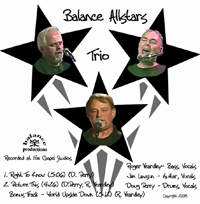 This 3 -song 'single' (single, flip-side,and bonus track) is a taste of the full album, STARS ALL BALANCED, due for release in November 2008. On STARS ALL BALANCED, two successful Cincinnati songwriters, Roger Yeardley and Doug Perry teamed up to co-write a bunch of new material. The first new release for either in several years. 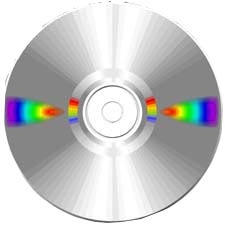 The bonus Track, Roger’s song ‘World Upside Down’ will NOT be on the full CD. It is only available on this 'single'.. Though he regularly performs it live, this is the first release of a version of Roger singing his own song. Supplies are limited of this first-of-it's kind Cincinnati music project. Bands/ artists interpreting Roger's Songs include - The Bluebirds, Picture This (the original Brian Lovely & the Secret: Brian Lovely, Teddy Wilburn, C.C.Thomas). The Modulators, Blue Lou & The Accusations, Alice & Unfinished Business, Ricky Nye & the Red Hots, The Ginseng Jukes, Dr. Brainlove (Brian Lovely), Johnny Schott, Marcos Sastre. Rare tracks by some Cincinnati legends. $10. 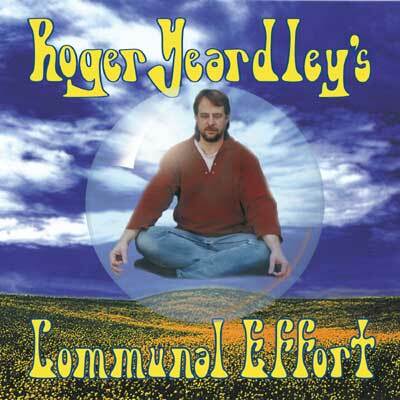 'THE CHILL' - Roger's first foray into Alt Country was released only on the compilation CD - 'The Greatest Indie Artists In The World - Vol. 4' [Texas Twister Radio Records- 2000]. This song has enjoyed much international airplay, especially on New Zealand's TLC radio network. Features some mean pedal steel by Wayne Hartman and some cool country guitar licks by Marcos Sastre.